Eclectic style meets pops of color. Start a collection, not necessarily with any final goal in mind, but with abandon. Design is a window into the past and a bridge to the future. Let's unravel your story. Modernique is a home furnishings boutique by interior designer and author, Julia Buckingham. 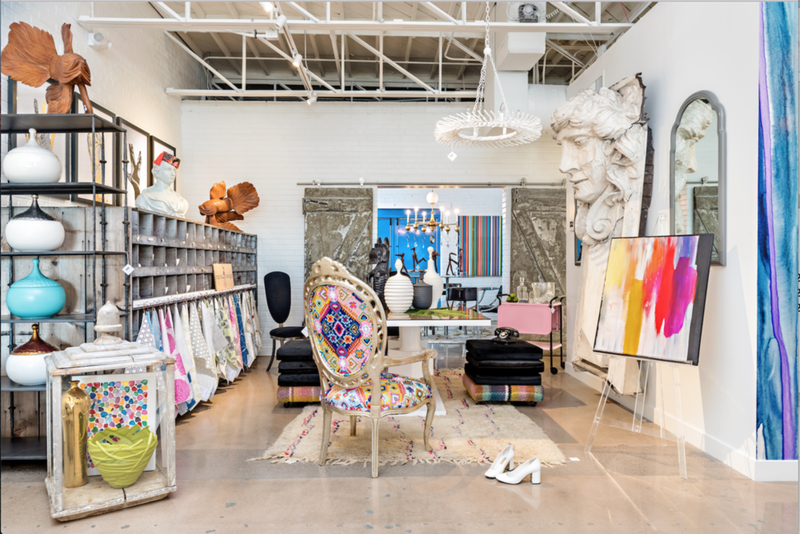 The shop- which is the same name as her recently released book published by Abrams, is a curated look into the world of color, and her signature design style which fuses modern and antique sensibilities. Modernique is located in central Phoenix within the historic-and recently renovated, Uptown Plaza Shopping Center. You start with what you love. The concept of modernique is to acquire over time.